There are a plethora of laws and government agencies dealing with NGOs in Bangladesh. NGOs are registered and regulated under 12 different laws. Buddhist Religious Welfare Trust Ordinance 1983. The Societies Registration Act 1860 is one law that is used to register NGO. The Registrar of Joint Stock Companies (RJSC) in the Ministry of Commerce is responsible for registering any society formed for any “literary, science, or charitable purpose. The Trust Act 1882 is another law providing legal basis for the formation of NGOs. A trust can be established “for any lawful purpose” whether public/private & can be created by any person to form contract. The Companies Act 1913, amended 1994, provides legal status to not-for-profit companies. Not-for-profit companies can be registered with limited liability provided that the company applies an income to promotion of its objectives of any dividends to its members. 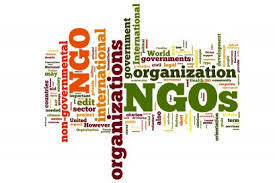 A large number of NGOs are registered under the Voluntary Social Welfare Agencies (Regulation and Control) Ordinance 1961. The purpose of this ordinance is to control voluntary organizations & it gives extensive power to the government with respect to NGOs. The Foreign Donations (Voluntary Activities) Regulation Ordinance 1978 amended 1982. This Ordinance requires that any organization carrying out voluntary activity using foreign donations can be registered with the NGO Affairs Bureau. In addition, registration with NGOAB requires the approval of the Ministry of Home Affairs, a line ministry, and recently, approval from local government. NGOAB has been regarded as the primary regulator as most development NGOs were supported by foreign funds in the 1990s. NGOAB had the same number of staff in 2005 as it did in the early 1990s, yet the number of registered NGOs has tripled. The Department of Social Welfare registers and deals with the NGOs whose purpose is to render welfare services as defined in the Voluntary Social Welfare Agencies (Regulation and Control) Ordinance1961. It is unable to carry out its monitoring function, except on an occasional basis when investigations are launched following disputes within an NGO s governing board or complaints from the public. The Registrar of Joint Stock Companies carries out registration functions under both the Societies Registration Act 1860 and the Companies Act 1994. There are few professional staff in the RJSC and no clear separation of staff who deal with societies or companies.